Backlot Stunt Coaster is a roller coaster in Action Zone at Canada's Wonderland. While it's not the best, it is also recommended. The minimum height to ride is 48 inches. 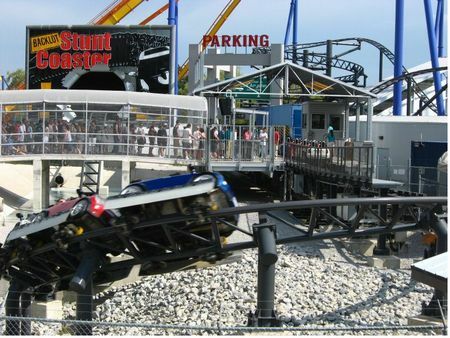 A Premiere Rides LIM Launched coaster themed to a car chase. Guests ride in small scale Mini-Cooper cars. Formerly called The Italian Job: Turbo Coaster.